I am grateful to be 1/8 Irish. 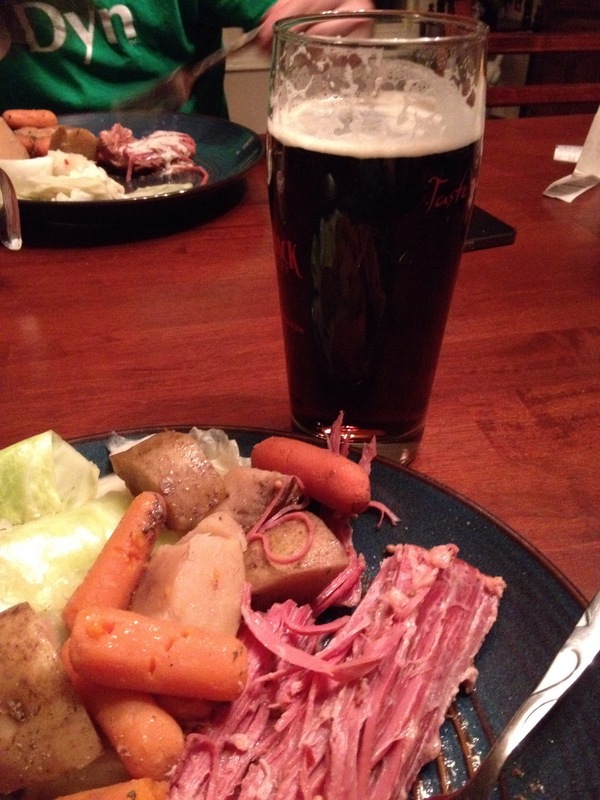 We did a crockpot corned beef, potatoes and carrots with cabbage. Though I couldn’t be home until after 8 (my late work night) it was worth the wait. Mike also made a 3 layer chocolate Guinness cake with Bailey’s frosting! Didn’t have room for it…maybe breakfast!